I am extremely grateful for the sensitive and sympathetic comments on my book in the posts by Jan Klabbers, Megan Donaldson, Devika Hovell, and Edouard Fromageau. Together, they offer a rich set of reflections on the book’s themes, each informed by their distinctive scholarly interests and expertise. In reading them, I found myself nodding along, with very little disagreement on even the more critical points. What follows, then, is not an attempt to debate any particular issue, much less all of them, in the systematic manner they deserve – but rather an effort to engage with a few of the wide-ranging concerns raised by four scholars for whom I have the deepest respect, in the hope that doing so will help to advance the conversation and stimulate further reflection and research. Several of the posts raise questions relating to perspective and methodology. The book’s particular focus emerged from an effort to answer a relatively narrow set of questions, albeit ones that have broader implications for how we understand international law and organizations. Seeking to understand how international organizations have been able to expand their powers informally beyond the terms of their constituent instruments, and the role of international law in making that expansion seem possible and legitimate, led me to look beyond the relatively restricted set of legal materials traditionally examined by international organizations lawyers. Examining a handful of overlapping episodes involving three organizations with very different purposes, structures, and histories, the book adopts a socio-legal methodology which makes it possible to explore the variable role of (international) law in the public discourse and practices of those organizations. But what does this kind of analysis help us to see, what does it overlook, and what does it obscure? While not the central thrust of his post, Jan Klabbers rightly points out that, by concentrating on fairly well-known organizations – the International Labour Organizations (ILO), the United Nations (UN), and the World Bank – the book leaves open the question whether the same framework of analysis could be extended to other organizations which are less well-studied and may present more anomalous or harder cases, such as the United Nations High Commissioner for Refugees, the Organization for Security and Co-operation in Europe, the International Olive Council, or the International Organization for Migration (IOM). Moreover, as Megan Donaldson wonderfully shows through a vignette by Shirley Hazzard, the book’s focus on the speeches, writings, and actions of senior international civil servants leaves unexplored the perspectives of lower-level officials in the same organizations. Klabbers’ comment thus suggests it would be useful to widen the frame, while Donaldson encourages more granular attention to how the rationales and techniques of power proposed by senior international civil servants were received, responded to, and acted upon by others. I endorse both impulses wholeheartedly. Which organizations receive scholarly attention is of course partly derived from a perception, right or wrong, of their relative importance, if not sheer size. But it is probably equally a factor of the availability of source materials: due to their greater transparency, it may be easier to study – and therefore also, ironically, to criticise – the World Bank and the UN rather than, say, the International Monetary Fund or the IOM. Donaldson’s exhortation to examine deeper questions of reception and impact poses other methodological challenges, especially where archival sources are not readily available, or in relation to periods for which ethnographic observation, interviews, and surveys are no longer possible. 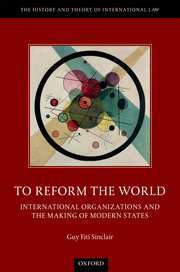 Nevertheless, understanding the operations and effects of the full range of international organizations – including how they interact within networks or ecologies, in ways that might work to multiply or restrict their powers, as Donaldson suggests – demands that we repeatedly make efforts to refocus the lens. Those efforts seem especially urgent at a moment in which aspects of the international legal system might be open to renegotiation. In this connection, Devika Hovell raises an important, subtle point that bears further reflection. Describing the book as “a critical history of Western intellectual thought and action”, Hovell highlights the danger of narratives that serve merely to refocus attention on Western actors and fail to give “status and voice” to others; intellectual history is itself an act of world-making which demands a commitment to “agonistic pluralism”. In some ways, this echoes Donaldson’s comment that we need to understand better “how IO justifications were received… in all the diverse places and communities in which UN officials acted”. The book does attempt to show how some populations reacted to some attempts to expand the powers of international organizations, for example in the interaction of Indian elites with the ILO, or the uneasy relationship between Congolese leaders and the UN. But certainly this could (and should) be pushed much further, to explore how subaltern groups are impacted by, and in various ways resist, international organizations’ activities. To that end, I fully support Donaldson’s proposal to “connect institution-centric histories with histories grounded in nation-state bureaucracies, corporations and civil society”, as well as Hovell’s call to incorporate the perspectives of “local populations, NGOs and even illiberal states”. Any renegotiation of the international legal system will require an effort of imagination. A major theme of the book concerns those features of the international legal imaginary which make change seem possible or impossible at any particular moment, with particular attention to constitutional and administrative metaphors or analogies. Hovell reads the book as a critique of liberal constitutionalism, generously observing that one of its contributions is “to expose the political stakes of constitutionalism” as a vernacular and framework for thinking about global governance, and helpfully points to the work of MacDougal, Lasswell, Reisman and others in the ‘New Haven School’ as a parallel project of liberal reform in international law. Edouard Fromageau also comments briefly on the constitutional growth metaphor, but focusses more on the idea of international administration, usefully distinguishing “two intertwined but distinct analogies fulfilling different functions” – the first linking “civil servants and expertise” and the second linking “international organization and administrative functions” in “protecting the interests and individuals”. For Fromageau, then, there is some imprecision in the international administration analogy, and even more confusion arising from its purported relationship to the idea of global administrative law, which he sees as aimed at “fram[ing] the authority exercised by global institutions by imposing, or rather by promoting, the respect of a set of administrative law type principles”. These are important questions that are worth exploring. The book aims to describe how public law analogies appear in the official discourse of international organizations and the working vocabularies of practicing international lawyers, but makes no claim that such usages are logically consistent or coherent. In these settings, analogies to constitutional and administrative law are rarely articulated in careful, systematic terms; they resist the kind of symmetrical construction proposed by Perelman and Olbrechts-Tyteca. Furthermore, it is exceedingly difficult to trace a single, original “domestic source” to any of these analogies. Rather, the imaginary operates as a complex “common understanding” that is effective precisely because it embodies both descriptive and normative assumptions, in a dynamic zone between doctrines and practices. As Hovell points out, the vocabulary of constitutionalism produces a series of imaginative associations that create a sense of stability and order while at the same time legitimizing flexibility and change. 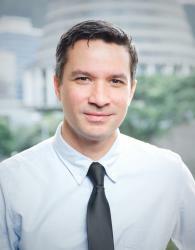 Likewise, while it is possible to distinguish analytically between a variety of distinct analogical relationships connecting domestic and international administration, everyday discourse and practice permits a more fluid set of intuitive leaps between administration, moral purposes, expertise, and law – all linked together and made efficacious through the larger “cultural logics” of liberal reform. Let me end, then, with Klabbers’ profound and challenging question: What next? Among other possibilities, Klabbers’ own work applying virtue ethics to the work of experts in international bodies opens up a highly promising avenue of inquiry. After all, if law is irredeemably ideological, and governance through character threatens to recapitulate the civilizing mission, and we have already witnessed the death of expertise… well then, what are we to do? To answer this centrally important question is, of course, to go well beyond the bounds of what the book aims to accomplish. It may be better simply to repeat the question than to attempt an answer. But for whatever it is worth, I doubt we can (or should) avoid thinking about virtue and character in governance, any more than we can (or should) dispense with law or expertise. On the other hand, I am certain that we must broaden the “status and voice” (in Hovell’s words) of all peoples in deciding what law, what character, and what expertise will govern them. In the meantime, perhaps the “temporary leap of faith” that Klabbers describes must be taken in all these arenas.